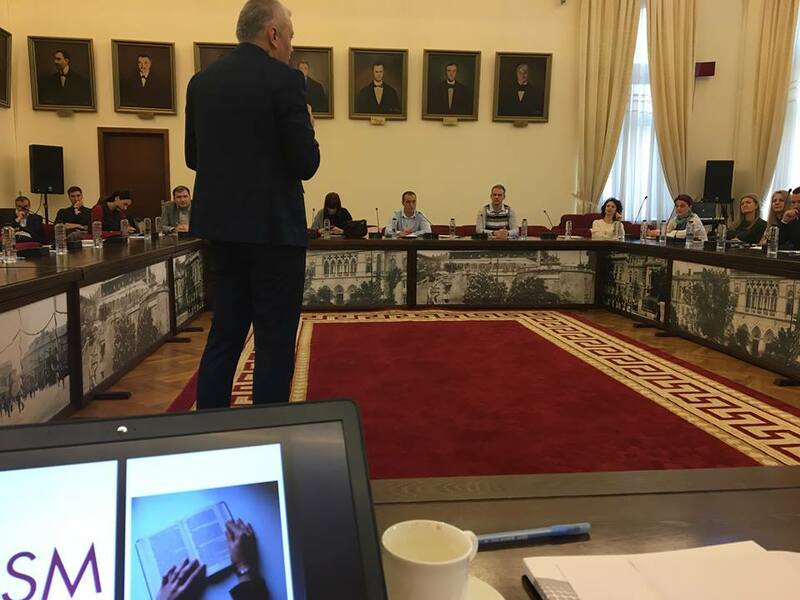 Today in the Iasi City Hall, I delivered a presentation to a group of Romanian entrepreneurs and business owners regarding the paradigms that in the next few years will change regarding people and people management. The last two days I have been with Olesia Mikhailova of OSM Russia delivering a leadership training to a group of Russian managers and entrepreneurs. A PDF of the slides in Russian is uploaded in this article. 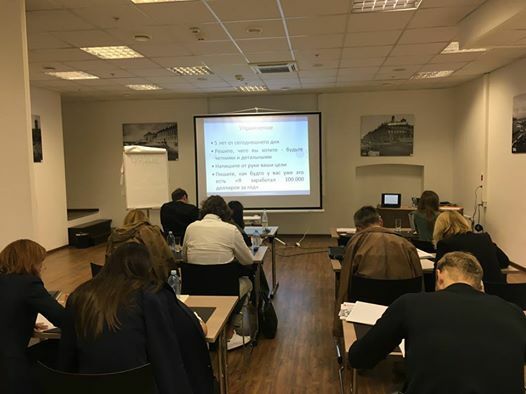 Next Russian Trainings will be Public Speaking and Financial Management. 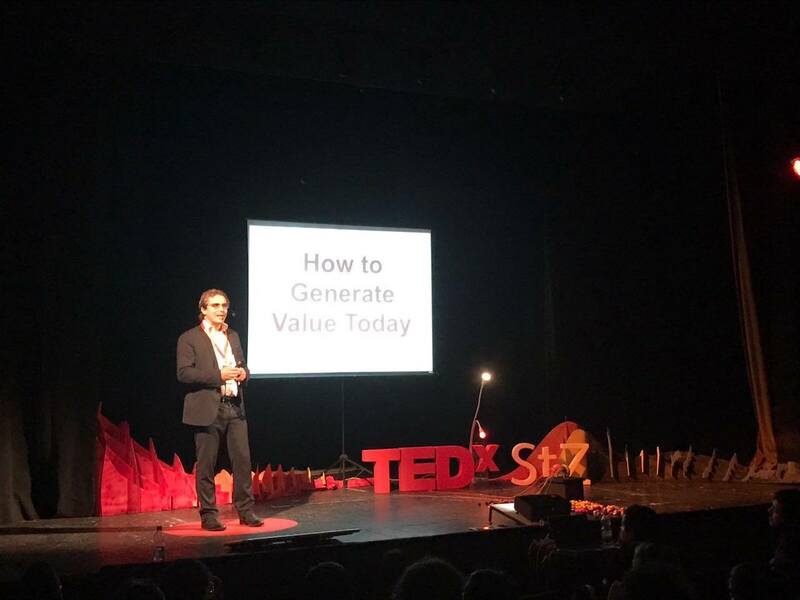 Here are the slides of my Lisbon Presentation on how to generate value through people. The idea of a “champion” is often linked to sports, but for me there are other types of champions: entrepreneurs who make their companies grow. To me, they are the real champions. They are the new heroes. The entrepreneurs of small and medium-sized companies who never stop fighting even when bureaucracy and red tape make everything harder, when the market is in recession, and when faced with ruthless competition. While everyone else complains about the global economic situation, these are the people investing, innovating, promoting, marketing, and bringing home concrete results. And they do it with enthusiasm, sometimes grief, but also with aggression. There is a close relationship between success and aggression. Aggressiveness is a very important component for success. 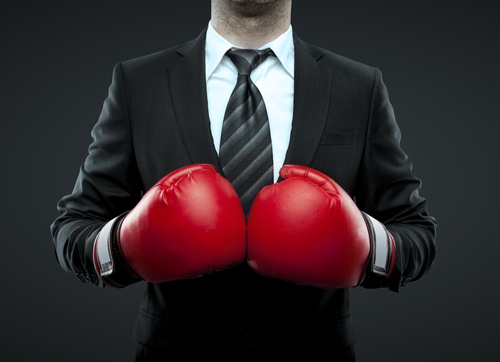 You must be prepared to fight and have a desire to win. Aggressiveness is more than just determination. Aggression is a willingness to be "dangerous" to others. "Dangerous" is a good thing in this case. It means you can go to your customer and make them place an order worth 100,000 euros. You are "dangerous" because you are about to make your client pay 100,000 euros. Assuming, of course, that your product or service is needed to improve your customer's situation. The energy created by aggression, if directed in the right way, results in victory and success. The most aggressive individual, the one who puts the most competitive fury into their efforts, is the one who wins. However, aggression can have another face. If used in the wrong way, it leads to failure. It is counterproductive. This duality of aggression comes from a paradox. It is the paradox in which "agonistic" malice generates positive reactions in others. Once, for example, I met an extraordinary salesperson who went against all the rules taught in sales manuals. He was determined, direct and never listened to the customer's needs, yet he still sold a lot. Instead of doing the usual sales approach (breaking the ice, problem investigation, offer of a solution, and then closing), he started straight away with closing. As soon as he arrived in a company he went up to the potential customer and immediately said: "Pull out your checkbook". He was so convinced about the utility of his service, and he was so determined, that he managed to infuse absolute trust in the relationship. Despite the fact that his sales system presented numerous flaws, his strong determination led him to be almost infallible at negotiation. Another basic prerequisite is that an individual or a business only earns the money they think they need. If tomorrow you need to pay a $ 10,000 debt, and you don’t have anything in the bank right now, then you will probably find a way to earn a lot of money today. You might start by calling up all the companies that still owe you money. You could call your client database asking for a down payment on the order. In short, you would find a way. The problem is that you don’t need to pay $10,000 by tomorrow, and so you are here reading this article and probably haven’t been as productive as you could have been today. You might have made a lot of effort, ok ... but did you really push yourself to the limits of your potential? This is why I try to keep as little liquid money as possible on the accounts. I put them all in investment, new activities, and projects. If I had too much money in my bank account, I would be tempted to relax. Unconsciously I would know that I'm "safe" and always have some security (this does not mean that I don’t have backup stashes, I'm not completely inexperienced!). Instead, this way, I know I have to stay on the ball, stay focused on whatever deal is going on at the moment. I can’t let anything slip! The problem is that you usually do not feel that urgent sense of need, and so you adapt and only earn as much as you need. However, when you raise your level of necessity, you trigger a mental state that pushes you to win and get what you want. - If you cannot solve a problem... make it twice as big. I'm opening office locations all around the world. Managing everything takes great commitment, and requires daily travel from one end of the globe to the other. I need to study and adapt to other, completely different, markets. Above all, it means being able to build a team on the spot that you can trust and that can be autonomous. I could give up on the Brazil and US headquarters and say, "OK, going across the Atlantic is too hard. I’ll just stick to Europe." But in doing so I would start being inefficient even in Europe, and then I would end up saying, "Okay, I’ll just stick to Italy." And in the end, I would have the same problems in Italy. You must increase your problems, not reduce them. The more you increase your problems, the more you put yourself in a psychological condition that pushes you to solve everything. - The psychological well-being of an individual depends on how dangerous they feel to others. The mental state of the champion is the firm certainty that the thing you want will definitely appear. If they want the gold medal, the winner already knows that medal will be theirs, no doubt about it. If they want their company to reach $ 10m, the winner already knows that it will happen without a doubt. Certainty does not mean you are superficial or take things too lightly, it is the grit and determination that transforms into the energy you need to give your all and achieve the predetermined result. So ... Are you aggressive? Are you dangerous? Are you willing to go all-in? One of the best parts of my job is knowing that I have made a difference in someone's life. Thank-you letters, like the one below, make all of the time and effort worth it! I think it was phenomenal! Words cannot explain how much I enjoyed it. I have been to a lot of events but I cannot remember a presenter so passionate and so in love with what his is doing. I really enjoyed the fact that we have similar values and that you give everything you know and do not hold anything back. I would like to admit something else as well - I attended your workshop as a guest of one of the partners of the event. SO it was a free lunch for me and we all know that when you do not pay - you do not pay attention. I have acquired a lot of things for free in my life and I have valued almost none of them. Well, this time that was not the case! I was paying attention every single second, and I was also taking notes. I never take notes because I always try to pay more attention. This time it was completely different! I definitely wanted to write down some of the thing you were teaching. And have already started to apply them ... and well, more time is needed for a plant to grow but some of your advices are already giving preliminary results. So .. thank you one more time, Paolo. You are doing great job and I think you are a great guy. That is all I wanted to share with you for now. I wish you ALL the best and keep up the GREAT work! Today I was invited by Rabe Bulgaria to give a presentation to several Bulgarian teachers regarding the role as a leader of the teacher. The slides of the presentation (in Bulgarian) are attached. The training talked about many other things. Slides are attacched. 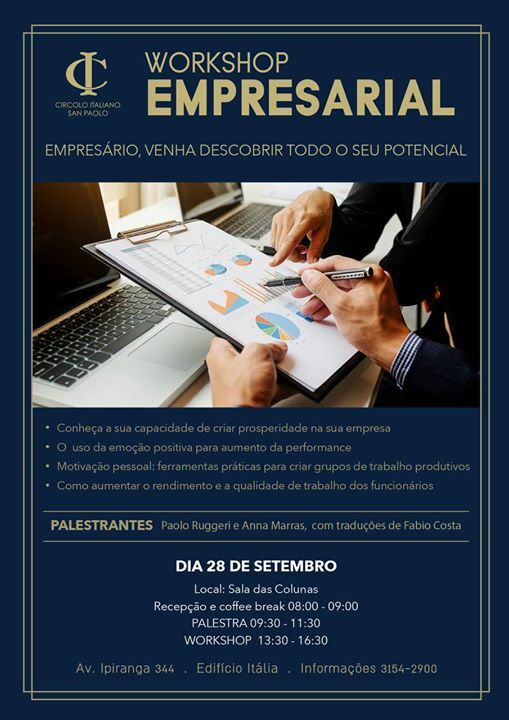 Today I have delivered a presentation in Sao Paulo regarding the strategies executed by Small and Mid Size companies that grow even during difficult times. Attached you'll find the slides that are part in Portoguese and part in Italian. I believe there are 10 principles that, in particular, help generate value for a company, its employees, and the greater economic fabric. These are 10 intangible tips for personal well-being, obviously combined with traditional business actions (management, marketing, incentive plans...), which help an individual to grow and prosper. I believe in Karma. Or, at least, I believe in my own concept of Karma. The idea that the world is ruled by justice. That the world is a just place. Each situation either creates a debt or credit with the universe. 0) Coincidences are never coincidences when you are close to greatness. When two or three coincidences occur, it means you are close to greatness, meaning an individual with a great energy. 1) You are a creator. Always: Even when you are simply thinking you are creating an image or scenario in your mind, you are creating something. If you find something that helps you think about a better future, then you are creating a better future. Your thoughts sow the seeds of your future. Even unconsciously. 2) Time does not exist: Time is a perception that is greatly influenced by your mood. It expands and contracts depending on how you feel at any given moment. If you have problems finding enough time, then you probably don't have enough projects of your own to do. You're simply letting yourself be influenced by someone else. You are pursuing the values of others, you are doing something you don't believe in. Parkinson's law teaches that "work expands so as to fill the time available for its completion". In a nutshell: If you have a day available to write a report, then you will take that whole day to complete it. If you only have half a day, you will only need half a day. And there probably won't be any difference in quality. You simply put more effort into less time. When you say "I don't have time" it means that you have lost sight of your own ambitious projects, you have ceased to be true to yourself, you are no longer centered. 3) Admiration is the energy that washes away obstacles. Anything you don't admire will continue to persist. If you focus too much on the negative aspects, they simply gain strength and relevance. 4) The spirit is like a tuning fork that vibrates in harmony with whatever is around it. You have the same frequency as those surrounding you. If you surround yourself with positive people and things, you too will vibrate positively. If you surround yourself with negative people, then you will also vibrate negatively. 5) Love is the essential ingredient for any successful project. You have to feel love for someone or something. Fall in love with a person, a project, an idea. Love is the glue that holds everything together. If you feel hate or rancor, you cannot create value. Those animated by hatred end up crumbling to pieces. Arguments and misunderstandings are poison for a company. 6) There will be a number of tests along your spiritual journey. You will have to have faith and face your fears. There will be moments when it seems there is no solution, but you have to be firm in your belief that there is always a solution. That will be your test. 7) Knowledge is analog, while intuition is digital. Intuition is the ability to catch those imperceptible signals that make a big difference. It's the new business idea that lets you change the future. Intuition is like tapping into a book where everything is already written for you. 8) The world is based on the number two. To recharge your own energy, you need to consort with another being of equal energy. This can be a partner, someone you love, a friend. You have to find your "number two", the person who can give you their spare energy and allow you to create. If you think about it, all big companies are born from pairs. Larry Page and Sergey Brin (Google). Hewlett and Packard. Steve Jobs and Steve Wozniak. It doesn't matter that one was the "face" and the other worked behind the scenes. Without the power of two, Apple would never have been born. 9) The enthusiasm of today is the money of tomorrow. If you passionately throw yourself into what you are doing, you will eventually succeed. Those who claim to have tried this without getting anything in return are probably those who easily gave up. Perseverance is paramount. Enthusiasm and perseverance. 10) People are more important than strategies. It's more about YOU and less about technique. You have to be yourself. You have to take yourself back to when you were younger. That age of pure being. Purity will help you achieve any result. 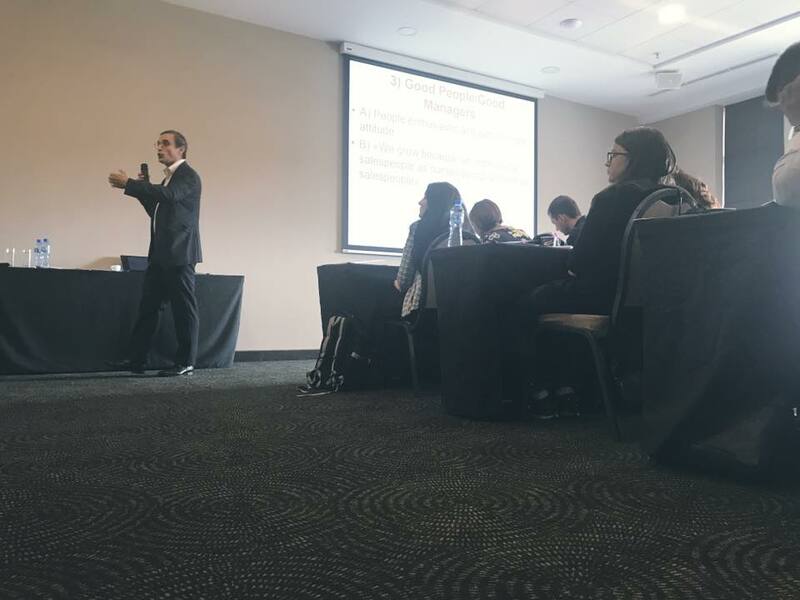 Recently, I spent two whole days at our local Mind Business School discussing how entrepreneurs can deal with adversity and difficult moments. It is impossible for a two-dimensional blog post to convey the emotions, the painful blows, and the love that guide the choices of entrepreneurs, but it can still be very valuable to list the winning actions that have worked for them. Listening to the stories of entrepreneurs who have overcome great adversity has lead me to a certain understanding: Those adversities may have seemed deadly and irreparable at the time, but in many cases within a couple of years - sometimes even sooner - they pass and life returns to normal. When it feels like everything is doomed, know there is still hope. Unless you make a terrible mistake, things can still turn out for the best. 2) Have good legal support. Trust the best professionals with legal, accounting, and job counseling plans. It is very likely that you ended up in this situation precisely because the professionals you trusted weren't actually the right ones. Never underestimate what's going on around you. Find the best, and trust them. 3) Do not retreat or run away. Each of us, when struck by a scandal or a catastrophic event, instinctively feels the need to run and hide. When we are ashamed, we hide. Don't do it though. Confront things and deal with them, and as you do, make yourself worthy of trust, talk to people, explain your point of view. Even if it's uncomfortable at first, it will make you feel better in the end. If you have suppliers you can't pay, don't avoid them but instead communicate with them, explain the situation and give everyone a little hope. Pay them what you can as money comes in. 4) Be careful to generate (or continue to generate) cash flow. No matter what else you do, without cash flow, your business will disappear. In times of severe liquidity crisis, you need it to take over the margin. 5) You must have tenacity and tap into the emotional strength of who you really are. Be stubborn. Keep at it. Just when you've been backed into a corner and it seems that all is lost, that is when you can discover your extraordinary emotional strength and lucidity. You are the last soldier standing. At some point, this soldier will activate and give you a strength you never knew you possessed. 6) Spirituality, exercise, a sense of humor, and discipline can all help you to develop and maintain resilience. 7) When things are really bad, pointing fingers is useless. Instead, concentrate on solving the situation. 8) - The right friends can work wonders: the ones who don't judge you, those who have experienced situations like yours and lived to tell the tale. In times of adversity, you may find that people you once trusted will end up abandoning you. Don't worry though, later you will recognize this as a great opportunity. 9) When you get hit hard, it's easier to fight and survive if you believe that what you're defending is not just a mere business, but a deeper purpose that will stand as your mark upon the earth for all those who come after. People who are just running a business will easily give up in times of difficulty. Those who pursue greater meaning often discover an extraordinary strength. Have the strength to plant trees, even if you will never rest in their shade. Build something for the future and for the world, and every crisis you face will simply be a passing storm. The universe tends to reward those who engage in a project that goes beyond simple personal benefit. I fell ill in 2007, and was forced to take a step back from business in order to recover. For two years I had to delegate the management of the company to others. People who I paid very well. When I came back, the people I had trusted had abandoned me and shattered the company. During difficult times, those I had thought friends ended up leaving me. It's a bitter pill to swallow. You have to look at the brutal facts, how they are in reality, without filters. One of these facts is that many of your supposed friends will abandon you. I was in great difficulty and, paradoxically, this curse became my blessing. It prevented those people from giving me a death blow. My breakthrough took place in 2012 when I relaunched my company. Thanks to new projects, new employees, and a renewed mindset, I found confidence in the future. When Muhammad Alì, the legendary boxer, asked how many sit-ups he did every day, he replied, "I don't count my sit-ups. I only start counting when it starts hurting. Because they’re the only ones that count. That's what makes you a champion." Those who are truly strong are not only motivated, but can stay so even in the face of adversity, failure, mistrust, and fear. 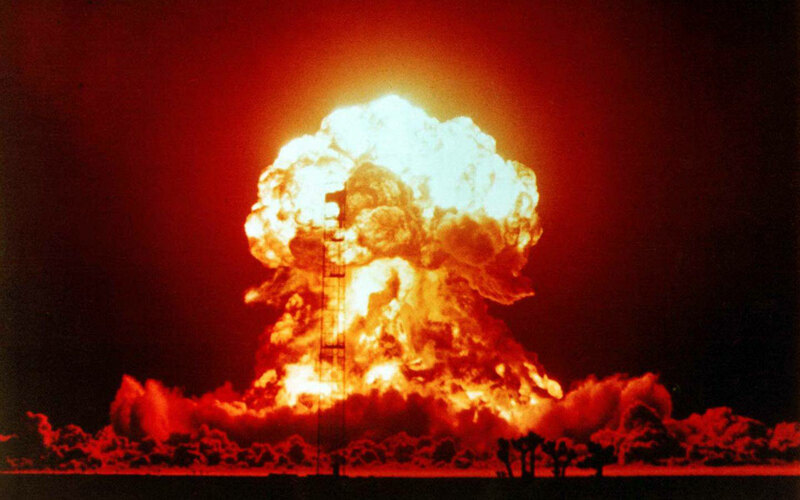 This is what makes us indestructible. Why people buy and why they change their minds? 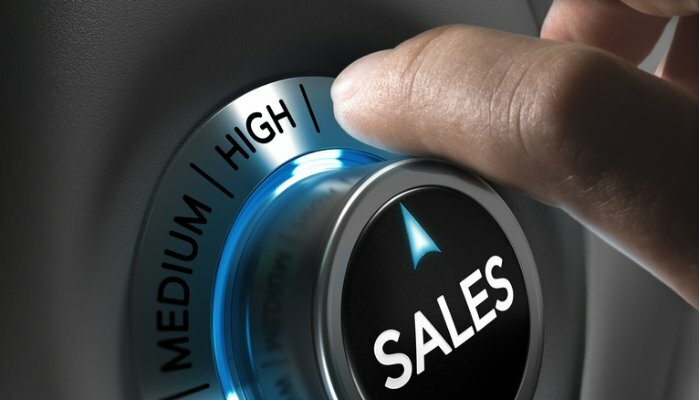 The phases of sales and coaching on each of them. 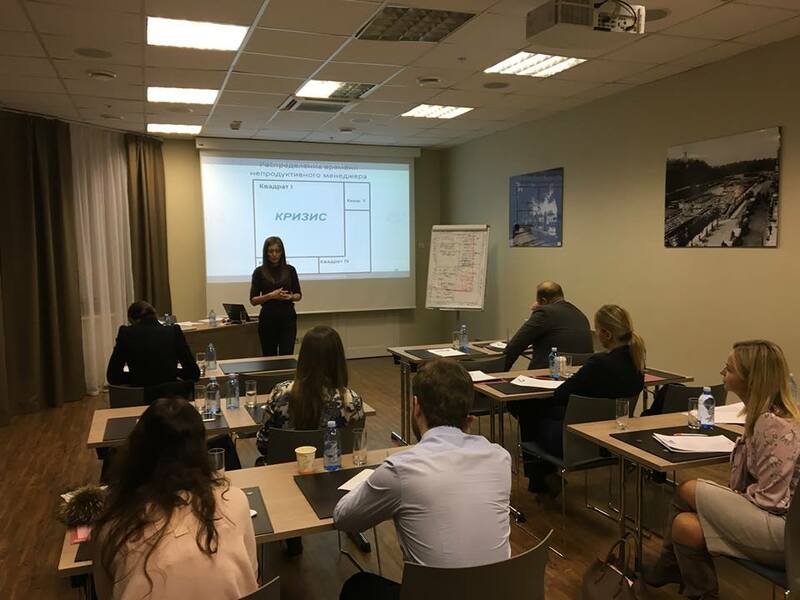 Yesterday and today I held the Leadership Training in Saint Petersburg. I had a group of great entrepreneurs and business owners and we had quite a lot of exchanges and brainstorming. From my experience as a business owner and coach, I have learned some things about managing staff and how to bring out their potential. 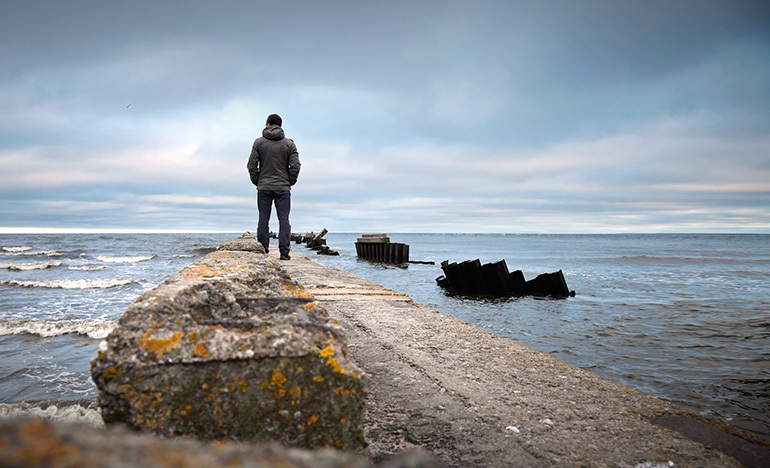 A first major premise is that if life suddenly becomes harder and requires more effort to achieve the same results, then it is because you have come into contact with a demotivating person and unconsciously formed a connection with them. That is to say, you are in contact with a person who limits your growth as an individual and as a professional. The demotivating person has little respect for the property of others and thinks everything is due to them as their right. They therefore insist on being paid for jobs they haven't done, or for working the bare minimum. They don't care about your well-being or gain, only their own, and heaven help you if they find you lacking in some way. The demotivating person is like a tape worm: first they consume the value of the company, then they begin to consume you too. You have to root them out while there's still time. Now, getting back to us ... If you ask people how to grow potential, most people will probably tell you things like "watch people: what is that person really good at? What could they be best in the world at? In what professional activity do they find great pleasure? Find what someone truly likes and they will begin to express the best of themselves." ABILITY: Each of us has the ability do everything, and when the opportunity presents itself we must not be afraid to use (though not exploit) the person available. For me there is no such thing as "I'm just not made for sales ..." everyone can do everything, they just need to believe it. Competence is not knowledge. Competence is a psychological condition that is built through results rather than through education. There are several ways to create competence. However, among them there is a method that, in my opinion, is most effective: achieving a result. I take a person and shadow them and insist with them until they get a result. When that person wins, then they acquire psychological competence. If you hire a salesperson, motivate them, trust them, and insist, possibly accompanying them until they achieve a result. Make a sale, even easy. You will find that with the enthusiasm that comes from this one success will give them the ability to deal more easily with subsequent challenges. THE ENVIRONMENT: A feeling of calm in the space around us is the first necessary condition to positively put things into action. It is difficult to free up your potential when you have the perception that there is a threat in your environment. 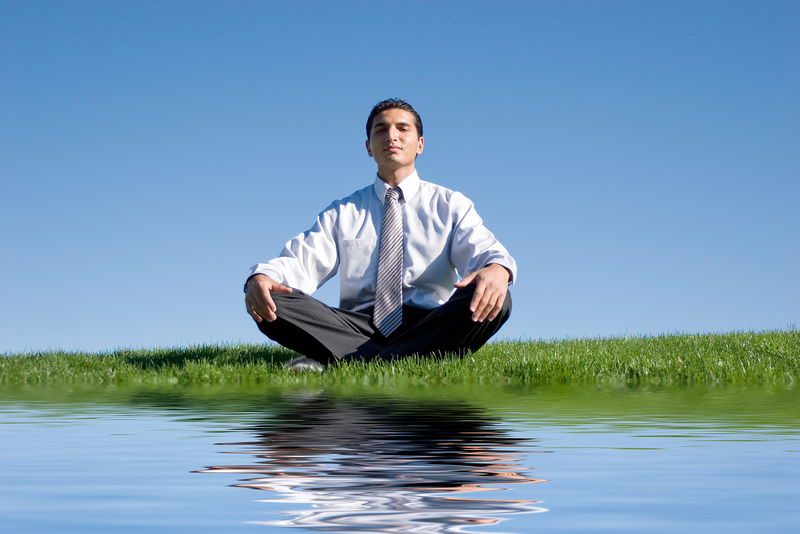 It is therefore important to include people who are motivated and convey serenity. Motivating people have a real passion for what they are doing, they are cheerful and are more likely to agree than disagree. These are the people who light up when they are presented with a new business project. They support you and they see opportunities everywhere. Then over time maybe they will analyze the details and correct the direction, but they will always support you regardless. - Like attracts like. Great people socialize with other great people. Positive people look for other positive people. "If you want to soar with eagles don't hang out with turkeys." This means that you yourself will have to face a personal growth path. - You have to stop being critical and controversial, and raise your emotional tone. - You can only attract motivational people in your life if you offer them an opportunity. The good guys look for projects that thrill them and give them opportunities for personal, economic, and professional growth. It's time to make the people at your side explode with potential! What are you waiting for? Delegation is an indispensible skill for any business owner. With only 24 hours a day to run an entire company, the better your business is, the harder it becomes to do it all yourself. However, delegation isn't simply a matter of passing work off to other people. How can you be sure that the work will actually be done? Are the people you work with really reliable enough to do it properly? Many business owners who struggle with delegating are plagued by these questions, and this uncertainty often means that the work they had delegated will simply end up back on their desk for them to do (or redo) later. Usually these unsuccessful delegations have a common problem at their core: They aren't delegating the right tasks. 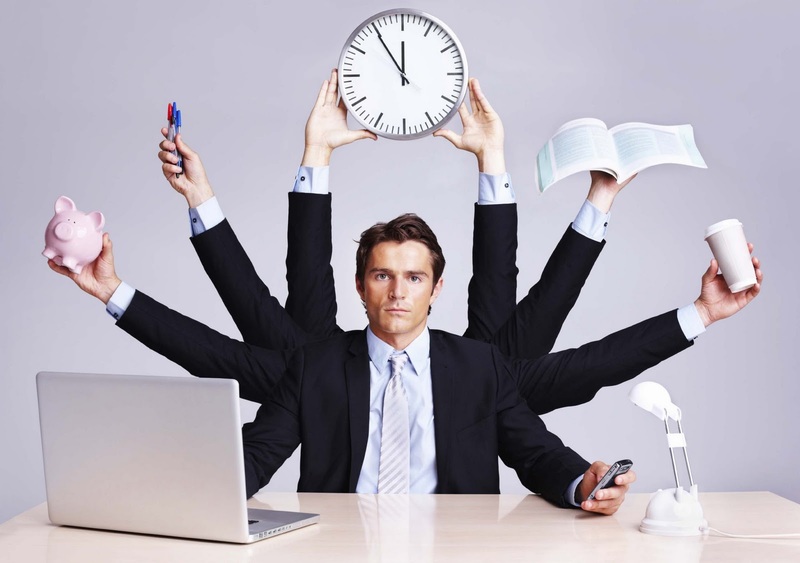 You have two tasks that need to be done, but you only have time to do one of them yourself. Which of the tasks do you delegate to someone else? A) The task that you have never done before and don't really understand. B) The task that you already have experience with and know how to do well. Many people assume that delegation exists so that the owner can pass off the tasks they don't like or don't understand, and so option A seems to be the obvious choice. Here's the flaw in that reasoning: If you don't understand the task or don't know how to do it well yourself, how are you supposed to know if the person you delegated to is doing it properly? People who choose A often end up failing to check up on the task, blindly assuming that the other person will figure it out. Or, if they do check on progress, it will almost always be painfully superficial, because they have no way of truly verifying the answer. The person you delegated to may say "oh yeah, everything's fine because of x, y, and z", but if you have no idea what x,y, and z mean, that update means nothing to you. For all you know it should be a, b, c, not x,y,z, and at the end of the month you'll find yourself landed with a crisis you didn't know was coming! That is why the correct answer is B. By delegating tasks you already understand and know well, you can quickly and easily identify the warning signs if something starts going wrong. Your job as the business owner is to pioneer into the unknown, master it, and then (and only then) pass it on to someone else so that you can concentrate on the next innovation. Did this information surprise you? Perhaps there are other aspects of delegation you've never considered before. 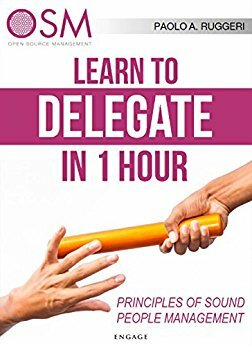 You can find out now by clicking one of the links below to download our FREE ebook: Learn to Delegate in 1 Hour. Although I have recently published several posts on financial investments, I would like to point out that in the vast majority of cases, those who try to make money through speculation, usually end up without even two pennies to rub together. - Your true motivation. Which is not to make money, but to add value to people. To make a difference in their lives. - Your desire to help others. 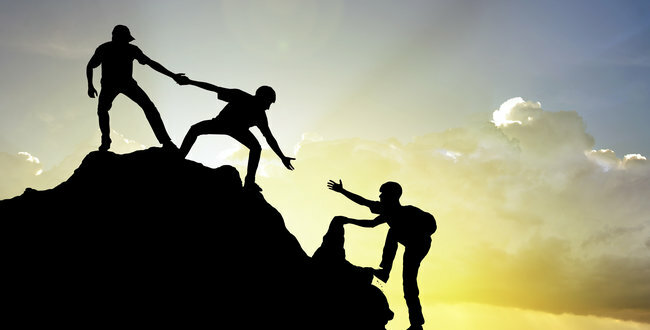 Those who have a lot of money are willing to help others for free (and this was true even before they had a lot of money). Meanwhile, those who do not have a cent to their name will only help if they can see a profit or salary in it for them. - A fanatic and artistic pursuit of perfection, of greatness. My dear friend Daniele Beretta, who is one of the most experienced ergonomics in Italy, rightly states that "the search for perfection in the details brings you closer to God ..."
- How easily you light up and get excited about the little things. How many times in your life you find yourself saying "That's great!" (several times a week = a lot of money, a few times a month = underpaid work). If it's all just a big game, you’ll find yourself working a lot of hours and yet still having a load of fun without ever getting tired. Have you ever seen a child get tired playing their favorite game? - The people around you. If you're always the smartest in the room, you have a problem. It’s also a problem if you find yourself surrounded by sad people, etc., etc. - How good you are at selling, organizing, hiring, marketing, and managing people. Paradoxically, knowledge about all these things is available for everyone. You can learn it from me or, somewhat more limited, from one of many former colleagues (some of whom are really very good), who studied at my school and then branched off on their own. But this isn’t the hardest part. The points at the top of the list are. Ultimately, I think that every human being has been born to be rich, and possesses their own unique and fantastic road to greatness and wealth. To follow it, you must rediscover yourself, work on yourself, and remember to listen to your own voice. 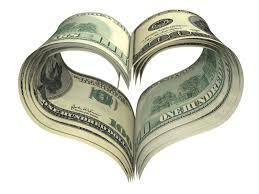 Money is more a product of the heart, rather than the wallet. Financial investments, on the other hand, will come after. When you begin to accumulate your first riches. After all, you will certainly have to manage your portfolio and make it grow: investments, real estate, bonds, annuities, etc. etc. However, if you try to accumulate wealth without first starting your personal path to greatness, without listening to your voice and embarking on the brave road of self-transformation as described above, then you will find that all attempts to "do business" will only make you "tougher" rather than more spiritual. You will only accumulate additional doubts and self-criticisms. You’ll end up thinking things like "I’m just not fit for business", etc., etc. You need to follow YOUR path to greatness. Start from your heart and it will take you through your own personal transformation. I started listening to mine many years ago. 25 years ago I was a salesman, and I would never have imagined ending up at TEDx talking about how to change the world. I have achieved great satisfaction in my career: personally, professionally, and financially. Much more than I expected. Now is the time to dedicate myself to other people. I've achieved what I set out to. Now I have to help you. Thanks for the help you all have given me. And incidentally, my success is not really mine but a sign of the times: it is a sign that there is a new motivated business class that is successful but, above all, also contributes to society. They don't just want to make profits, but they also want to change the world. For the better. I will always be in debt to these people.